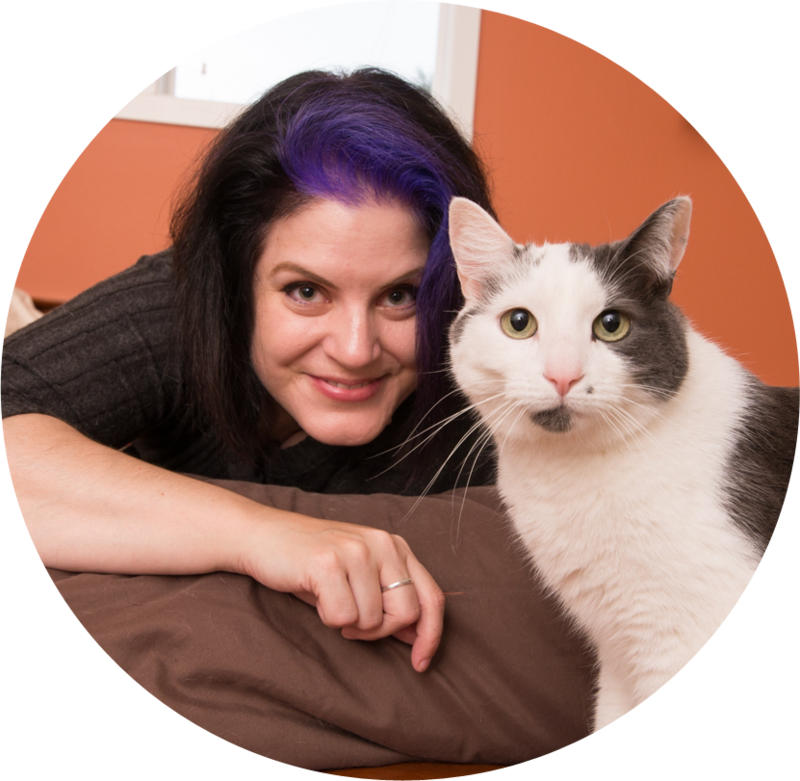 If you’ve ever considered contacting a cat behaviorist to help you with an issue you’re having with your feline friends, you’ll want to pay attention to this post, because it’s all about you and me. 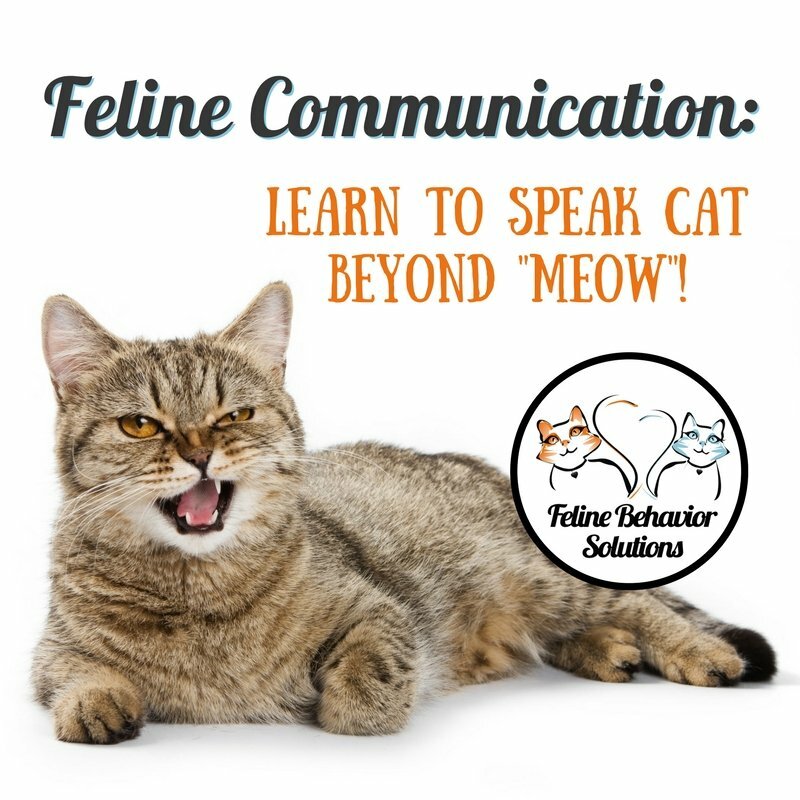 While some of you may have experience in talking with consultants, many of you are probably asking yourself, “what happens during a cat behavior consultation?” or, “what the heck does a cat behaviorist do?” or maybe, “the behaviorist just does her cat-whispering thing and then the problem is solved, right?” Well, I’m here to clear a few things up for you, and provide you with some helpful tips on how to get the most out of your cat behavior consultation. 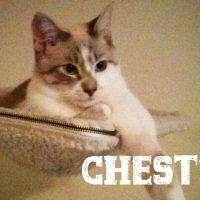 Basically, what it comes down to is this: my job is to take the information you give me about your cat and 1) figure out what is causing the problem, 2) come up with ways to address the problem and redirect your cat’s behavior to appropriate outlets, and 3) offer practical recommendations to help you achieve this with your cat. I do this through writing a customized behavior plan and giving you support through email and follow-up phone conversations. Your job is to provide me with the information I need to figure out item 1 above, and implement the behavior plan consistently until the problem is resolved. That’s it*! CRITICAL TO YOUR SUCCESS: Have a POSITIVE ATTITUDE! Please approach the consultation with an open mind, and ask yourself how you CAN accomplish the advice I give you. I’ve talked with clients who have a negative reaction to everything; they immediately have excuses for why they are not able to implement the advice I give them. It’s ok if you are nervous, or if change is scary or challenging – I get that! But people who are not willing to change their situation will not see any changes in their situation (makes sense, right?). 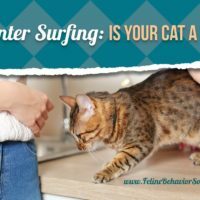 Your cat’s behavior is not going to change if you don’t do anything to resolve the issue that is causing your cat to behave inappropriately. I completely understand if there’s an obstacle in your way. However, these obstacles can usually be overcome – there is a way around them, and I can help you with finding those solutions. If you find yourself responding to everything with “I can’t do that because…”, please stop, re-evaluate, and try to get in the habit of responding with “that will be hard, but I think I can accomplish this by doing…” Don’t just say you can’t do something and stop there. Ask yourself what you can do! This is the most important (and sometimes most difficult) thing you’ll need to do during your consultation. Please provide me with as much detail as possible. 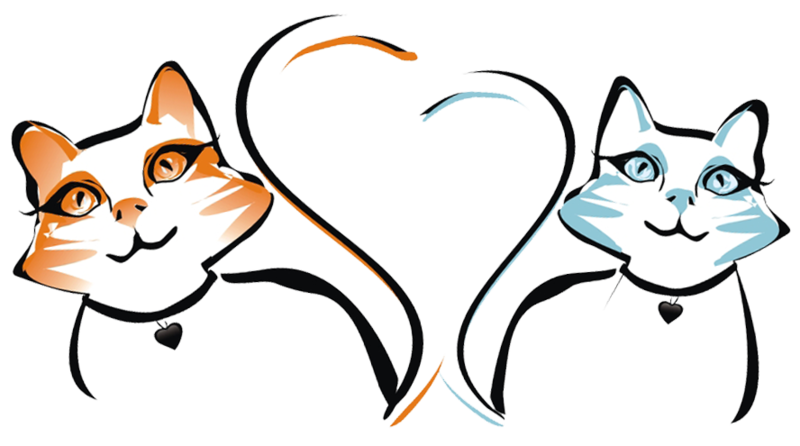 For the in-home and phone/Skype consultations, you’ll fill out an in-depth questionnaire about your cat and her behavior problem(s). 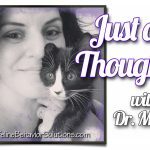 Think about the behavior that you’re concerned with and take note of things like: what triggers the behavior, body posture during an incident, where the incidents occur (sometimes a simple floor plan of your home is helpful), what happens after the incident, how often the incidents occur, and how long it takes before kitty is back to normal, etc. If you’re doing a mini-consultation, feel free to provide me with as much detail as you would like via email prior to our call. For any consultation type, I welcome photos and/or videos (videos can be especially helpful if the issue is about cats/dogs/people not getting along). The more information you can provide, the more accurately I’ll be able to diagnose the situation and provide solutions that will treat the properly-identified problem. 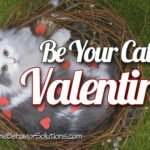 If you’re getting an in-home or phone/Skype consultation, I will provide you with a full customized behavior plan that explains why the behavior is happening, what you can do to stop the behavior, and how you can improve your kitty’s environment to bring out appropriate and healthy behaviors. I’ll also give you a handy-dandy cheat sheet that breaks it all down in a simple check-list! These are the tools that you’ll get from me, but it’s your job to use those tools. And you’ll need to use those tools consistently; otherwise, problematic behaviors can become more ingrained or even worse. Stay committed to fixing the problem – I know that it can sometimes be frustrating or seem hopeless (believe me, I’ve been there), but improvements WILL happen if you stick to the plan. Improvements that seem small to you can actually be monumental from a cat’s perspective, so please celebrate accomplishments, no matter how small you think they are! Keep a journal. It doesn’t have to be pretty or long, but this will serve two purposes. 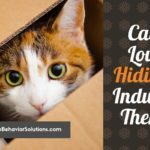 First, keeping a record of your cat’s behavior and how you are implementing the behavior plan will allow you to see patterns or figure out what is or isn’t working. 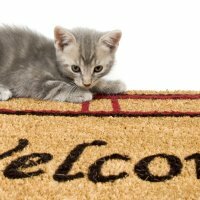 And second, your cat’s behavior will improve, but this improvement can take time. Your journal is there to remind you how far you have come. Occasionally, review the behavior plan. Our actions and behaviors often change over time without our realizing it. I recommend re-reading the behavior plan every so often to remind yourself of an important aspect that you may have forgotten about, or get you back on track with a particular suggestion. 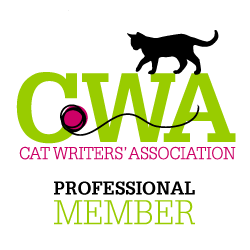 And, as you keep track of things in your journal AND re-read the behavior plan, you’ll begin to better understand why your cat is doing certain things, and increase your knowledge about redirecting inappropriate behaviors to behaviors that are acceptable. I’m here to help! I’m a resource that is here for you. If you have questions about the behavior plan, or are having problems figuring out how to do something, let me know! I have lots of product recommendations and practical advice. 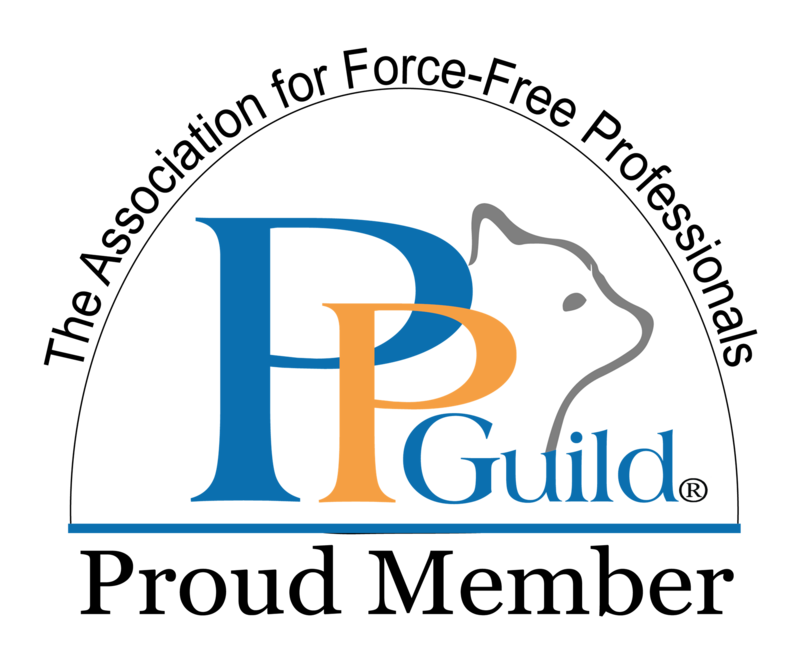 If you have new information or insight about your cat’s behavior, let me know – your behavior plan may need to be revised based on the new info during the course of our consultation period. Or, if things are working out really well and you’re seeing improvement, I’d love to hear about that, too! 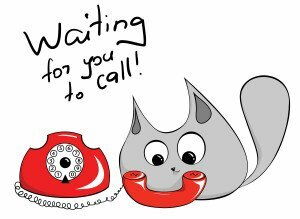 While I wish that resolving your kitty’s behavior issues was as easy as putting the phone up to your cat’s ear for a little “cat-whispering”, that’s probably not an effective way to treat behavioral problems (although we can give it a try, I just offer no guarantees). 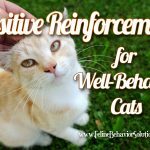 It will take a little more effort, but working with you to get the information I need to develop a course of action for you and write a behavior plan, along with your commitment to implement the plan, will result in a happier cat, and a happier you. I hope this has taken away some of the mystery of the way cat behavior consultations happen, and that we can work together soon. What are you waiting for? Pick up the phone (…or send me an email…or a text…or fill out the contact form on this website…) – I look forward to meeting you!